(Feb. 5, 2019) – Grand Canyon University is announcing through this release that it is extending an invitation to conservative commentator Ben Shapiro to speak on its campus sometime this spring. The University felt the need to explain the timeline of events that led to this decision due to misleading and false information that has been made public by the Young America’s Foundation national organization, which sought to bring Mr. Shapiro to campus. The GCU chapter of the Young America’s Foundation did an outstanding job of working with its national office to produce a conservative speaker series at GCU during this academic year. Each time, the local chapter followed the University’s existing approval protocols and conservative speakers were brought to campus, including Allie Stuckey in November 2018 and Michael Knowles in October 2018. In this latest case involving Mr. Shapiro, the same protocol was in place. However, when the YAF chapter submitted its guest speaker request in writing on Dec. 11, YAF’s national organization announced publicly on the same day that Mr. Shapiro would be speaking at GCU even though the University had not yet begun its approval process. The University set up a meeting with its local chapter leadership in order to discuss their intent and did not halt the process as a result of its approval protocol not being followed. The students presented their intent to a committee of students, faculty and staff. The committee considered the request and made a recommendation to deny the request. That recommendation was brought to GCU President Brian Mueller and a number of students on campus expressed their concern that this speaker would bring a feeling of divisiveness to the campus based on some of his previous speaking appearances. The GCU YAF chapter was unhappy about the denial and the University agreed to meet with their leadership and the spokesman of YAF’s national organization to review that decision on Monday. The meeting appeared to be productive and the University agreed to bring Mr. Shapiro to campus this spring. The process of releasing the information became very contentious as the parties could not agree on the exact language that was going to be used. After nearly 24 hours of not being able to work in a productive fashion with the YAF national organization, the University has decided to take a different path forward. The University is extending an official invitation directly to Mr. Shapiro and his organization in conjunction with the GCU YAF chapter students to organize an event where he would come to campus and present to interested students. It is important to note how this situation is different than most of the previous situations that have been high profile in our country. 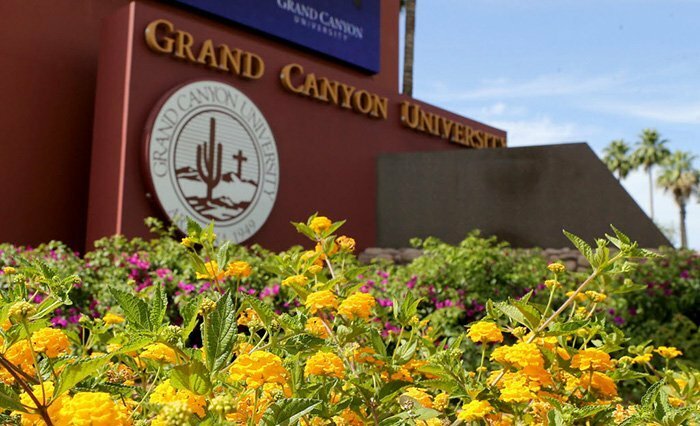 Grand Canyon University is an openly avowed conservative institution, which is expressed through its doctrinal statement, ethical positions statements, curriculum, weekly Chapel and other events held on its campus on a daily basis. Conservative talk goes on at GCU’s campus every day, all day. Bringing conservative speakers helps students on its campus crystallize what they believe in and stand for. However, the University also welcomes students on its campus who do not share conservative, Christian views. They are free to express their worldview in and out of the classroom in a spirit of open discussion. In this case, the issue was not the conservative views, because the majority of GCU’s students, and the University, share many of the views that Mr. Shapiro espouses, including the system of values expressed through the Judeo-Christian principles and the free market economy. It is our intent to honor the desire of the YAF GCU chapter to have Mr. Shapiro on campus so that he can share his views. This conservative dialogue will continue on campus whether Mr. Shapiro decides to accept our invitation or not. GCU’s administration is not interested in working with YAF’s national office as a result of its continued disparagement of the University, the false and misleading statements it has made, and its expressed strategy to use media pressure to achieve its goals. The claims by YAF’s national office that GCU changed its approval protocols for Shapiro’s appearance are false. Its statement earlier today deliberately omitted the most recent draft of a proposed compromise joint press release that addressed its concerns, presumably because it did not fit its narrative of the events. And, rather than seek a solution in good faith on a joint press release on Tuesday, YAF’s national spokesman continued to use social media and media channels throughout the day to disparage GCU even as he was aware the University was willing to bring Mr. Shapiro to campus. When YAF’s spokesman indicated that the only acceptable version of a joint release was their original version, GCU decided to discontinue the conversations with the national office. The University considers those tactics unproductive and does not wish to partner with a national organization that operates in this fashion. We will continue to work with YAF’s student chapter and with Mr. Shapiro directly if he is amenable to speaking on campus. About Grand Canyon University: Grand Canyon University was founded in 1949 and is Arizona’s premier private Christian university. GCU is regionally accredited by the Higher Learning Commission and offers more than 230 academic programs, emphases and certificates for both traditional undergraduate students and working professionals. The University’s curriculum emphasizes interaction with classmates, both in-person and online, and individual attention from instructors while fusing academic rigor with Christian values to help students find their purpose and become skilled, caring professionals. For more information about GCU please visit www.gcu.edu or to learn more about GCU’s Christian identity and heritage please visit https://www.gcu.edu/about-gcu/christian-identity-and-heritage.php.